…And It Is Here. The WhatsAPP Effect. A couple of years ago, one of our Managing Consultants was in South Africa. She had decided to buy a local SIM instead to save cost on roaming. I needed to reach her urgently before a meeting. Our CTO told me that she was online on “WhatsApp”. What is that? I asked. “Why is she not just using her Blackberry Messenger App?” He described it to me and I downloaded it. I knew instantly that this app was going to change the World. The App automatically found out those on my phone address book that had the same app installed. It did this effortlessly and it was “permission-less”, without needing further intervention from me. I knew this was powerful as I had seen what the address book did for STK (Sim Tool Kit) based Mobile Money Schemes. Simple and less complicated always wins. Address book access from the STK menu is a massive UX advantage and I believed it helped Telco Mobile Money scale faster, together with ubiquitous and well established agent networks. My address book initially could fit into my SIM card with the earlier feature phones, but quickly outgrew it. Once it moved from SIM to phone, I learned the hard way to sync it with Microsoft Outlook after I had moved to Blackberry and had a few OS mishaps. When we moved our entire organization to GoogleApps, I realized that Google could also take my contact list into the cloud and I was relieved. It however did not match what this little app called WhatsApp did for me without all the headache of syncing and and transferring. “It just worked”. No permissions, no syncing. I even found people I had lost contact with but who still had my number in their address books. No more telling people on social media to send you their numbers as you had lost them. No more worrying about your number being exposed or being used for the wrong purposes by advertisers. “It just worked” and included people from my most personal social group — “My Phone Address Book”. Beyond the amazing UX features of WhatsAPP was another secondary effect. It was cheaper to use than Telco SMS. Once they introduced WhatsAPP Voice Calling, it basically replaced all basic Telco services for most people. It is amazing that an app used “Internet Access” provided by Telcos to disintermediate same Telcos. A lot of those Telcos didn’t see it coming until it was too late. Those hardest hit were in Africa where an overwhelming number of people are on expensive prepaid plans. 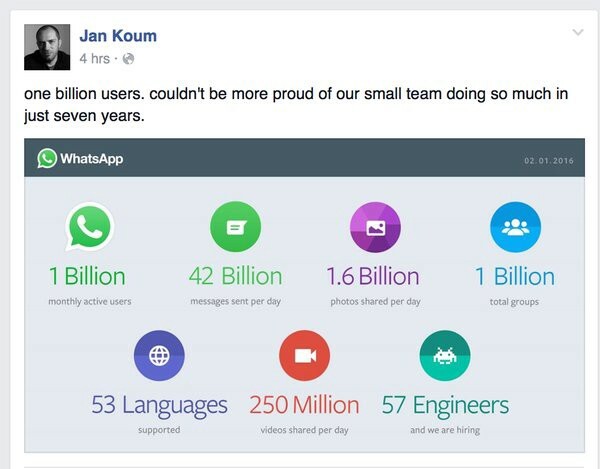 WhatsAPP Voice changed a whole lot more groups than Telco’s. It changed people’s communication habits and behaviors too. My 73-year-old mother not only discovered that it was cheaper and more convenient to reach all of her kids and friends via WhatsApp, she also discovered the Internet and other Apps on her phone. A lot of people are discovering the Internet and other Apps because of WhatsApp. Facebook’s acquisition was not only preemptive but prescient. I know people who bought smartphones just because of WhatsApp. We can say that the rapid demise of feature phones in emerging markets was accelerated by WhatsApp. “Digital” has taken hold firmly. The Android effect gave Facebook massive numbers as it was the primary app most smartphone users installed, the WhatsAPP effect has now made the smartphone even more ubiquitous and as more people buy smartphones, Facebook and others gain. The interesting phenomenon is that WhatsApp is now accelerating platforms instead of otherwise. Even smartphone manufacturers now preload WhatsAPP as a default app. Almost everyone I know, now uses WhatsApp. It is that ubiquitous. It is rare to find anyone alive in my address book who doesn’t use it. Benedict Evans pointed out recently that WhatsApp messaging numbers were double Facebook Messenger numbers for the same period. While that was not really unexpected as we have seen its wild success in emerging markets, it makes it much more powerful than we could have imagined. WhatsApp was banned briefly in Brazil and there was chaos. What would happen if WhatsApp suddenly stopped working? I don’t want to imagine it, but disruptions are possible. We are now centralizing all our communication once again. The beauty of Telco networks and GSM as a standard was redundancy. If one telco messes up, you can move to another telco with the same phone, by simply changing your SIM card while taking your address book with you. All we needed to do was send a mass SMS message to all our phone contacts. WhatsApp removed the need for this mass SMS with great UX. My WhatsAPP number is my UK phone number, but I am here in Accra, receiving calls and messages. WhatsAPP has also practically killed telco roaming for me and several others. When VOIP was introduced and apps like Skype scaled, Telco’s like AT&T were shaken for a bit but regained their hold quickly as they partnered with phone manufacturers to offer plans to customers that tied in device acquisition. Voice and Text services were bundled in on subscription models. In the emerging markets, data services were costly and platforms like Blackberry who provided free chatting services with their devices became quite popular. The first problem with Blackberry was “Permissions”. Because of its focus on security, you had to know the unique code of the person you wanted to add, before that linkup can be established. Not a bad thing for privacy. The greatest problem was that it was not “cross-platform”. You needed to have a Blackberry device to communicate. Blackberry became quite popular in places like Nigeria. The devices were however costly and restricted to a certain strata of society. While Blackberry’s demise may have been accelerated by Android and the ubiquitous smartphone era, chat apps like Whatsapp probably sealed their fate. 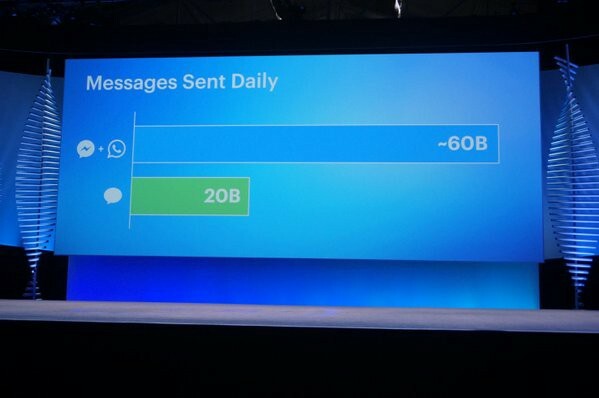 WhatsApp is truly “cross-platform”. It did not depend on hardware or OS. Another key feature. Blackberry later provided a cross-platform version of their messenger app but by then it was already too late. Network effects had set in and created a significant momentum advantage for WhatsApp. Telcos are definitely now also moving into a “post-network era” as they are all now massively adopting the Internet. Some are even making investments in Internet or digital companies. As Pieter Verkarde, the former Group Chief Commercial Officer of MTN, Africa’s largest Telco, told me two years ago — “The future is Digital”. He said this when explaining why they invested in Rocket’s Africa Internet Group. The future has indeed arrived and it is all “digital”. My US T-mobile SIM now roams globally on WiFi at no additional cost beyond my monthly payments. Apple’s iphone made this possible. I not only have WhatsApp on my UK number, I also have my US number available globally. WiFi roaming is another thing to watch out for, and it may be the telco’s biggest play in the the near future. MSISDNs (phone numbers) are still in the telco domain and SMS is still used for verification. Telcos are still going to remain an important platform but they will be much subdued by the digital upstarts. They will become the carpet while Android and IOS are the table that we eat our digital feasts on. Someone used the term “dumb pipes” to describe their future. I doubt that. They are already buying Digital Real Estate just as MTN is doing. They are placing their bets too. 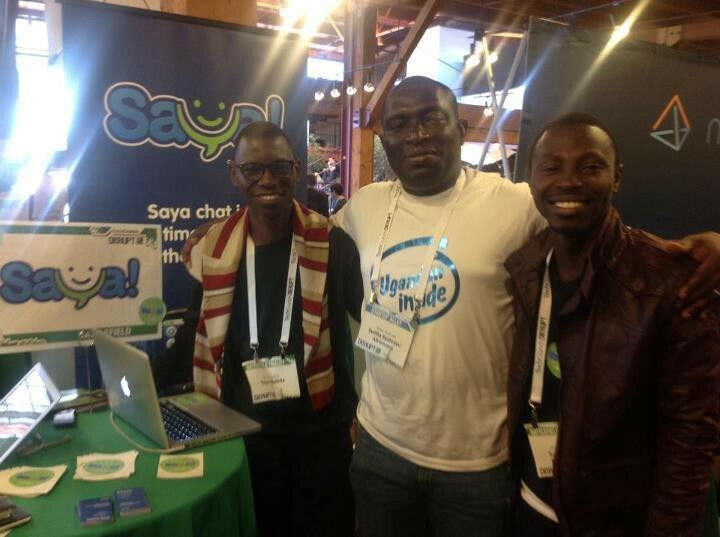 African e-commerce platforms are already going “mobile first”. In the meantime, let’s embrace this digital future as African techies to realize that the biggest gift that has been given to us by WhatsApp is a future of a “Billion” connected smartphone users who can now use richer apps. I believe that the opportunity to build solutions and applications for the next Billion users has been created by WhatsApp, we just have to figure out another product that will be equally as ubiquitous and useful. The smartphones are finally now here, they all have internet access. Who knows what those apps would be? My prediction is that, similar to the platforms that gave rise to the ubiquity of apps like WhatsApp itself, communications and chat apps will themselves become the next platforms. Wechat is trying to become that but WhatsApp is already that even without any effort from them. People are using Whatsapp in amazing new ways all over the world. The alternate use cases for this platform are already emerging. The Groups feature is the most annoying to me but it is very useful to others. There are people in Brazil actually paying to join groups as shown in this article. My friends at BalogunMarket.ng did the most amazing pivot in the African ecommerce space, they decided that the primary interaction and transaction mechanism on their marketplace would become Whatsapp or chat. I am watching that experiment closely with keen interest. The results have been amazing so far. The Facebook ecosystem is getting powerful daily. More use cases keep coming up. Are we becoming too dependent? Can’t we build new stuff to take advantage of their digital dividend? . Maybe we can even create new standards and new protocols based on the address book? The Brazil content use case for WhatsApp shows that anything is possible as long as you strive for simplification. That is what Yinka and his team have also done at Balogun Market. Wechat is fighting hard in Africa. A friend in the remittance industry recently joined them to run payments. Could WeChat become that counter to Whatsapp with more useful local features and use cases? I would have loved a home grown app to do that. I may still be suffering from the Saya App hangover. In the meantime, let’s see how well Balogun Market’s experiment performs. It is a new era, with new opportunities. Africa has gone Digital.